HOUSING MINISTER EOGHAN Murphy has told politicians to “hold their nerve” and not take heed of representations made to them calling for a “grace period” in the new short-term let laws. TheJournal.ie understands that an email from Airbnb has been sent to a number of hosts asking them to contact politicians about the proposed regulations and request a postponement. Under the proposed new laws, which are due to take effect on 1 July, homeowners who currently let a second property on a short-term basis will no longer be allowed to do so. Short-term lets of second properties will also not be permitted in Rent Pressure Zones, such as Dublin city centre. The correspondence from Airbnb provides a list of emails for Oireachtas members who sit on the housing committee, and encourages hosts to ask politicians to seek a “grace period” in the legislation. The correspondence from Airbnb seen by TheJournal.ie state that the company is seeking a “grace period from government”, and mentions that the Housing Committee will be considering the regulations today. The correspondence from Airbnb states that they should have received an email from Airbnb regarding an update on short term rental regulations. At this point, it would be timely for hosts affected by the proposals to continue to contact members of the Joint Oireachtas Committee on Housing Planning and Local Government. Maria Bailey (TD) is chair of this Committee. Sharing your story with her and to the Committee will be vitally important in the coming days; reasons why you host and what the regulations will mean to you and to your local community. The correspondence then lists the politicians’ contacts details and attaches some “suggested text” that members of the public should send to the TDs and senators “to help you frame your story”. We are in a minority government. This is the correct thing to do for people living and working here. We need to hold our nerve as an Oireachtas. Sinn Fein’s housing spokesperson Eoin O’ Bróin said he had received no such emails as of yet, but said if he does receive any they will “certainly not have an impact” on his view. He said committee members have been lobbied by a lot of hosts since the new rules were announced last year. He acknowledged that some homeowners who use their home for Airbnb had “genuine concerns” but these are addressed in the legislation. “Clearly, commercial operators of short-term lets are going to have a real difficulty with what’s on the table,” he said, adding that ” we have to do what’s right. “The housing crisis is so bad now, we need to move those units back into the rental market,” he said. He added that there is “no need to delay this”, stating that he has been raising the issue of short-term lets impact on the housing crisis since 2016. O’ Bróin said there has “more than enough time” for people to get all in order before the new law comes into effect this summer. The Sinn Féin deputy said the next move must be regulating short-term let platforms, such as Airbnb, stating that they should be obliged by law to share rental information to local authorities and revenue, as it will ensure enforcement of the new rules is a lot easier. He said this needs to be done a matter of urgency. Murphy has indicated in previous committee hearings that any such regulations would lie with the Tourism Minister Shane Ross. O’ Bróin said such regulations should not lie with Ross stating “this is about property regulation, not tourism”. He added that it makes “no sense to have a situation where there are no sanctions on the platform if they advertise properties that are not compliant with the law”. “Thousands of families across Ireland use Airbnb to share their homes and many say the additional income actually helps them afford their homes and make ends meet. We believe these families should have the opportunity to share – in their own words – how home sharing supports them and how clear, fair and proportionate rules can support people-powered tourism that benefits everyone. The company maintains it has long led calls for regulation that gives clarity to hosts across Ireland. 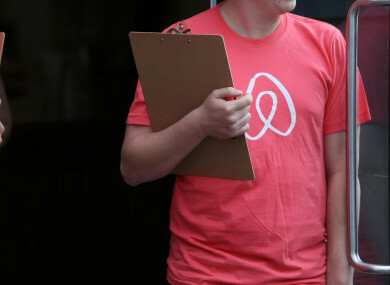 Email “Airbnb is urging hosts to contact politicians to ask for a 'grace period' in new laws”. Feedback on “Airbnb is urging hosts to contact politicians to ask for a 'grace period' in new laws”.